San Martín de los Andes is one of the most dazzling and emblematic Andean cities in Argentinian Patagonia. Its particular architecture composed of stone and wood, its varied cultural offer, its lodging options, its people and its sceneries make it one of the most popular destinations for those who wish to have a well-deserved vacation. Resting on the shores of Lake Lácar and surrounded by the majesty of the Lanín National Park, beautiful San Martín de los Andes has so many attractions during the four seasons that visitors wish to remain here for good. Thousands of tourists come to the city in the summer to enjoy countless recreational activities including mountain biking, canoeing, horseback riding, hiking, climbing and, of course, trout and salmon fly-fishing. San Martín de los Andes in the winter is the perfect location for the practice of winter sports, such as ski and snowboarding. Mount Chapelco, located a few kilometers away from San Martín, is the ideal site to approach the essence of snow. The whole family may enjoy varied activities ranging from snowshoeing to sliding across the forest on a sled pulled by Siberian Huskies. Both the fall and the spring keep their secret charm, which explodes in a wide range of color and lure people from all the corners of this country and from abroad. San Martín de los Andes is one of the cradles of hand made chocolate. For decades, there has been a tradition for the most important chocolate makers in Patagonia to settle down in this coquettish city. San Martín de los Andes may be accessed either by land or by air. Planes touch down at the local airport, a little more than 20 kilometers away from town. 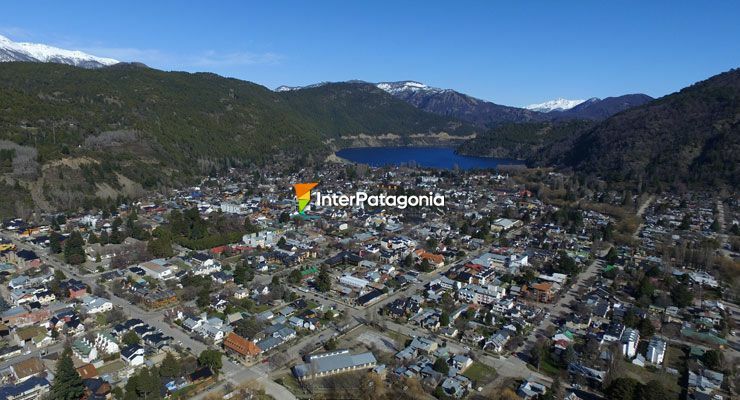 The well-known Seven Lakes Road joins it with the majestic City of Bariloche. From Buenos Aires, drivers must travel 1,600 kilometers to reach this Andean paradise.